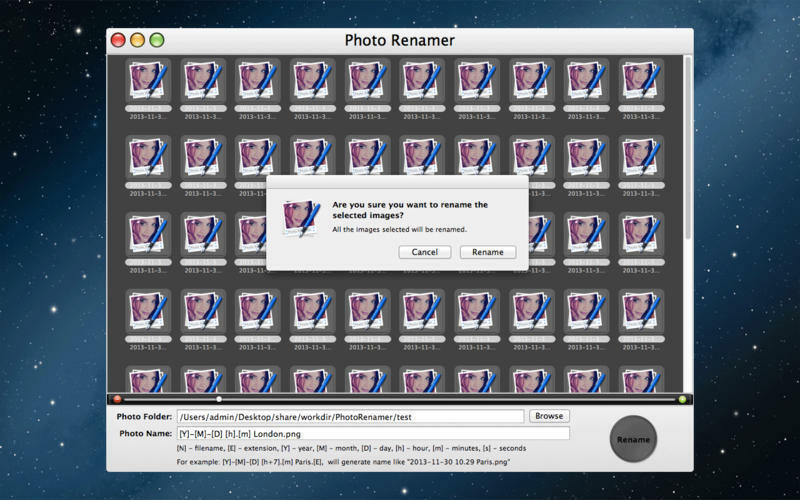 Give your photo's a meaningful name. 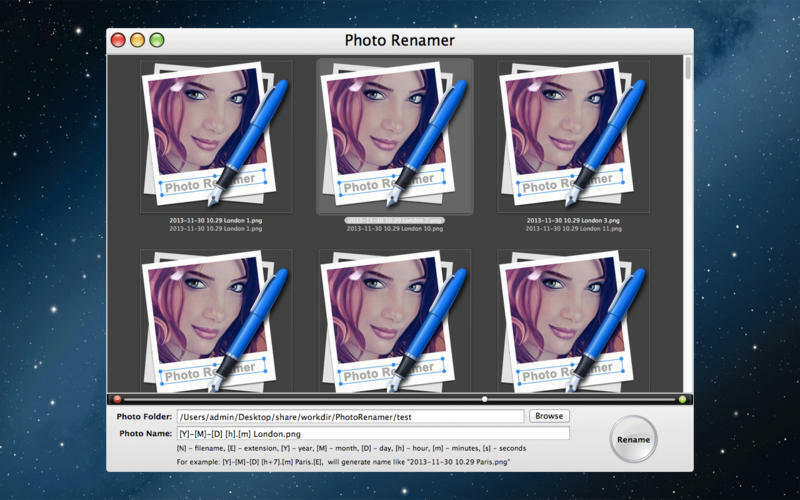 Is there a better alternative to Photo Renamer? Is Photo Renamer really the best app in Photography category? 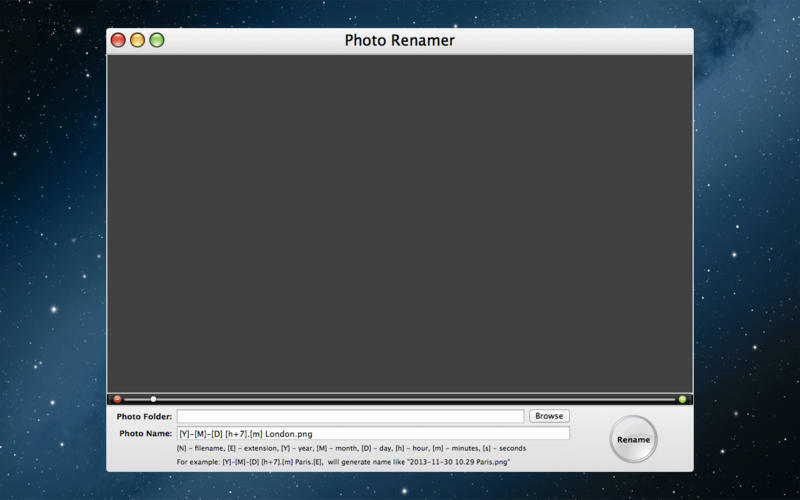 Will Photo Renamer work good on macOS 10.13.4? Photo Renamer is a simple tool that can help you give meaningful file names to entire folders full of images, making files easy to identify at a glance. By configuring renaming formats the names of photos can be manipulated by just one simple click. 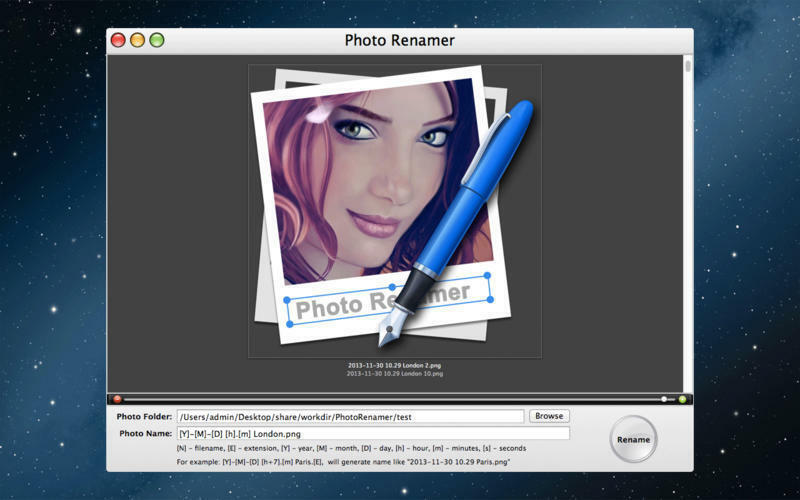 Photo Renamer is a great utility for organizing digital pictures for both professionals and beginners. 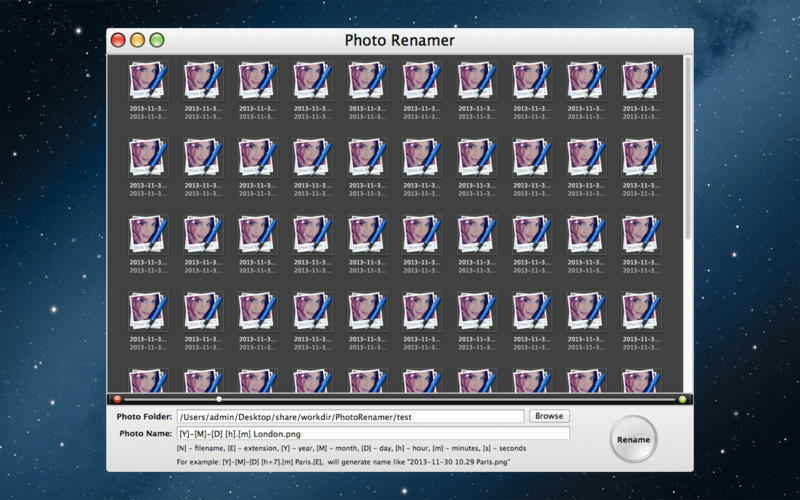 Photo Renamer needs a review. Be the first to review this app and get the discussion started! Photo Renamer needs a rating. Be the first to rate this app and get the discussion started!